Bringing to life flavours from around the world. 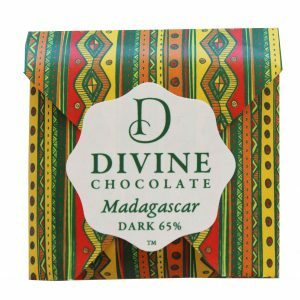 Divine Madagascar chocolate is made primarily from the Criollo cacao bean grown in the Sambirano region of Madagascar. Creating tart essenses with a deep rich fruity chocolate flavour. Ingredients: Cacao 65%. Cacao beans. Sugar. Cocoa Butter. Soya Lecithin. Vanilla Beans.